URGENT ACTION!….SACK Justice Marcel Awokulehin NOW!!! SPACES FOR CHANGE has petitioned the Nigerian National Judicial Council (NJC) to dismiss and prosecute Justice Marcel Awokulehin of the Federal High Court, Asaba for the ostensibly biased roles he played in the handling of the corruption cases involving former Delta Governor, James Ibori. In 2009, Justice Marcel Awokulehin quashed all 170 count charges of corruption and money laundering brought by the Economic and Financial Crimes Commission (EFCC). Justice Marcel Awokulehin absolved Ibori of any wrongdoing despite the overwhelming evidence of corruption and money laundering presented by the EFCC, and refused to consider the matter on its merits. 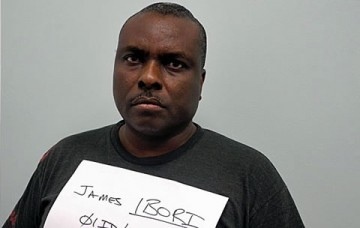 In sharp contrast to Justice Awokulehin’s kangaroo trial, Ibori has been convicted, and sentenced to 13 years imprisonment by a Southwark Crown Court in Londonfor the same offences. In his verdict on the matter, Judge Anthony Pitt of London Southwark Court said that Ibori’s sentencing would be followed by the consfication of his properties through another legal process and that consequences might arise if there was problem with that. In 2007, the London’s Metropolitan Police Service secured an order from a London court to freeze $35 million worth of his foreign assets, including a private jet. The Economic and Financial Crimes Commission (EFCC) has expressed its satisfaction with the conviction of Ibori and the 13 years jail sentence. In a recent statement, the EFCC said it “welcomes the conviction which is the icing on a tortuous investigative and legal odyssey for all actors invoved in the Ibori saga. It is reassuring that the sentencing of Ibori was based on the foundation of the case built by the EFCC in 2007 which unfortunately was thrown out by the Federal High Court, Asaba for lack of merit. The same fate has lately befallen other EFCC cases, notably the Erastus Akingbola, Ndudi Elumelu , Dimeji Bankole and Gbenga Daniel matters.They were all thrown out by the courts purely on technical grounds without consideration of the subtantive issues. Dismissing and prosecuting Justice Awokulehin would represent a step forward in tackling judicial corruption, and attest to the seriousness of the Nigerian Judicial Council to insulate judges from political manipulations and control. Without an honest criminal justice system, the wealthy, especially the corrupt, can escape the consequences of their crimes. SPACES FOR CHANGE believes that punishing Justice Awokulehin would not only serve as deterrent to other erring judges, but also help in restoring the rapidly eroding public confidence in the judiciary as the last bastion of hope for the common man.